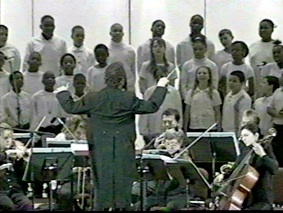 students perform with an established orchestra. A Concert Curriculum is a curriculum that culminates in the students’ performance with orchestra. 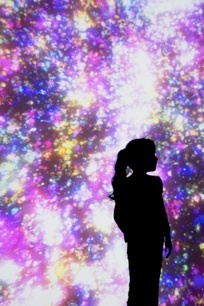 There are currently two versions: An Orchestra's Guide To The Young Person, and An Orchestra's Guide To The Universe, developed with support from NASA. 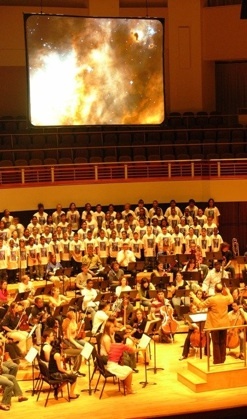 The program is the basis for collaboration between a school and an orchestra and, in the case of An Orchestra's Guide To The Universe, a science institution as well. Compared to arts programs in which students observe performances from afar, in the Concert Curriculum, whole grades of students participate in what it is the musicians actually do, learning, rehearsing and performing alongside them. Partnering established arts institutions with low resource schools with the shared goal of producing a fully professional concert at its conclusion provides exceptional opportunities for each. The program enables orchestras to produce popular, high profile events that expand their audience and fortify ties with the community. For the students, it is a life-changing event. The extraordinary journey that summits in a performance with orchestra helps them realize through experience rather than words that they are able to achieve ambitious goals, and that hard work is the key. 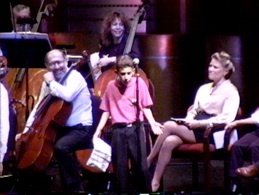 The results of a rigorous evaluation conducted by researchers at the Harvard Graduate School of Education and the New York University Psychology Department also confirmed that, relative to students at a matched comparison school, those in the Concert Curriculum showed greater increases in grades, with significantly greater increases in science and math as well as overall academic competence. The students work with their teachers, visiting musicians, and scientists if involved, in order to learn and create material for culminating performances. The performance itself is a hybrid genre, a musical that emerges from within a symphony orchestra concert featuring the students (primarily as a chorus), the orchestra, and, in the case of An Orchestra's Guide To The Universe, a multimedia presentation of images from space. – Thomas Rabone, Principal, Maple Hill Middle School, Castleton, N.Y.